Tanzania is well-known for being the destination of choice to see the big five animals (lions, leopards, elephants, buffalos, and rhinoceros) and especially for a first safari experience. However, do you have any idea of what to expect at mealtime? Can you name the traditional foods of Tanzania? If not, keep reading! 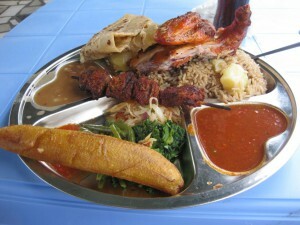 There are a few things that you ought to know about the Tanzanian cuisine to avoid any surprises at mealtime. Therefore, I have outlined here some interesting facts about the Tanzanian traditional dishes along with some that you should try on your safari adventure in Tanzania. First off, to better understand what makes the Tanzanian cuisine so unique we need to go back in time! Tanzania is in East Africa. Geographically speaking, Tanzania encompasses a mainland and the islands of Zanzibar, Mafia, and Pemba. Nowadays, there are about 120 ethnic groups in Tanzania along with people from European and Asian descents. The rich diversity found in the Tanzanian cuisine comes from these cultural influences. The Muslims set up the trade routes going in and out of Tanzania around 800 A.D. As a result, spices from India and citrus fruits were able to reach Tanzania. The Muslims’ influence is mostly present in the coastal region and on Zanzibar Island; the latter is well-renowned for its spice farms. The Portuguese introduced the cassava, a root containing a large amount of starch, and the groundnuts, both staple ingredients of the Tanzanian cuisine. The British are responsible for the presence of tea plantations in Tanzania. The Germans established coffee plantations. The Tanzanian cuisine is delicious, nutritious and quite filling! The reason for this is the usage of starches such as millet, beans, cornmeal, sorghum, and pilaf within almost every dish! Coconut and its derivatives are used to cook most of the dishes. Every Tanzanian meal contains one or a combination of these ingredients. Finally, the groundnuts are used as spices to add some flavors to the dishes. 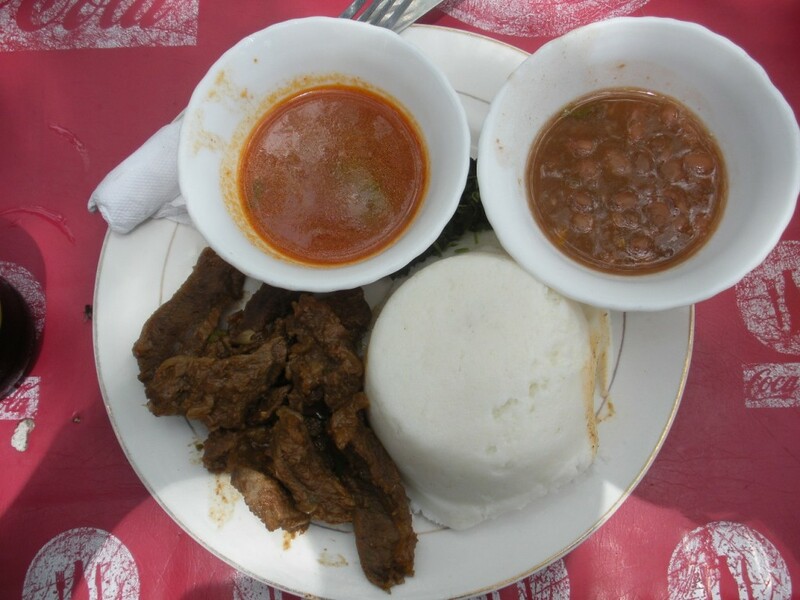 The National dish of Tanzania is Ugali. Ugali is a dough made of cornmeal and served along with a sauce made of either meat, fish, beans or veggies. The traditional way of eating Ugali is with your right hand by forming a ball with a dent and dip it into the sauce. Pilau (or Pilaf) is a rice dish with the following spices: curry, cinnamon, cloves, hot peppers, and cumin. The Pilau is the meal of choice for special occasions such as weddings, birthdays, Holidays, and ritual ceremonies. Very popular dish within the coastal region and on Zanzibar Island. The Nyama Choma is a typical Tanzanian meal of grilled meat (barbecue). Chicken, goat, fish or sheep are the preferred meat for the Nyama Choma. Contrary to South Africans, the Tanzanians do not eat much meat, mainly because it is expensive. Most Tanzanian families only eat meat on special occasions (weddings, rites of passage, Holidays). First off, Tanzanians eat their meals sitting on a floor mat or a low table. One of the Tanzanian customs entails hand washing at the table prior the meal, using a large bowl of water and a towel. You must at all times only use your right hand even if you are left-handed! The reason for this is that the right hand is perceived as ‘the pure hand’ whereas the left hand is considered to be unclean. The breakfast usually consists of Chapatti, flatbread or of Mandazi, a fried dough (donut), and served with tea or as the locals would say, Chai. The lunch usually takes place around 1:00 PM and is the biggest meal of the day. The meal includes either Ugali or rice along with beans, veggies such as Mchicha, which are a variety of spinaches and chapatti bread. 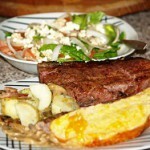 When it comes to supper, it is very similar to lunch with an added meat portion from time to time. Usually, the dinner is less lavish than the lunch. Coffee is the beverage of choice. The plantains are not only an important component of the Tanzanian cuisine but also of the alcoholic beverages! The Mbege (banana beer) is among the favorite drinks of the Tanzanians. This local brew consists of fermented bananas and originates from the Kilimanjaro region. The Samosa is a very popular snack, and it made of minced beef, onions, garlic, and spices all enclosed in a pastry shell and deep fried. There is also a veggie version of the samosa. Tanzania is not only the destination of choice for safaris but offers a unique culinary experience as well. The Tanzanian cuisine is a reflection of its cultural diversity. The food is delicious and nutritious. Now that the Tanzanian cuisine holds no more secrets for you, if you want to learn more about a safari adventure of a lifetime in Tanzania, read my full review here. If you have any inquiries about the traditional foods of Tanzania or would like to share your recipes of the African cuisine, please leave a comment below. I am looking forward to hearing from you. 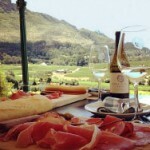 Wine Routes of South Africa, a Wine Tasting Safari! Traditional Foods of South Africa – Taste Buds Overload! My stomach thanks you for this post! 🙂 Seriously though, I love good food and this stuff you have posted here is making me drool all over myself. I haven’t really thought too much about going on vacation to Tanzania, but now I’m seriously thinking about going for it. You have convinced me on just the food alone! Thanks! You have a fascinating and unique article about the traditional foods of Tanzania. What is the staple food there, is it rice, corn, or potatoes? In a glance, I do not see any vegetables included in the meal, so what sort of veggies do the Tanzanians eat? How does the Tanzanian food compare to other parts of Africa? The staple foods of Tanzania are the starch and groundnuts. As for the vegetables that the Tanzanians eat it is mostly beans and Mchicha (spinach). If you want to learn more about others foods of Africa, You should read my post about the South African Cuisine, here. Not sure I will be going on safari anytime soon, although you do make it sound very enticing. The foods that you talk about sound like they would be interesting and very flavorful with all those spices. I really appreciated your information about origins of Tanzanian cuisine, most people have no idea how their foods got to be, this is fascinating. If I every get to Tanzania, I will know what I’m eating. I like to know how the foods that I am eating came to be, and I assume that others want to know as well! 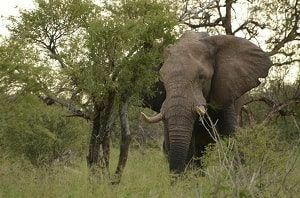 I hope that you will get the opportunity to visit Tanzania one day. There are many different kinds of safaris… For instance, you can go on a culinary safari to get a taste of the Tanzanian foods! Nice post Sonia. It sounds like I would enjoy the menu in Tanzania as I eat many similar foods already. That is, except for the meats. I’ve never actually eaten sheep. I do, however, love Chai tea very much. I just discovered it about a year ago and have been stuck on it ever since. Thanks for taking me on a little journey to Tanzania! I never tried sheep meat either! But I wouldn’t mind trying it with some Chai tea! 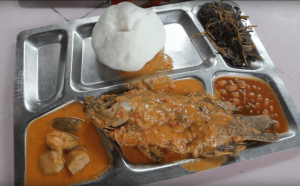 That was a thoroughly outstanding article that you obviously put so much thought into which detailed the type of traditional foods found in Tanzania. As could be expected I have never been there. However, almost immediately looking at the image of the meal found on the top of the page article I was very impressed – and suddenly very hungry. You did not just discuss the type of foods which made up the ingredients of that meal, but Sonia you also took the time to let readers in on the rich cultural history and types of past immigrants coming from other parts of the world that went a long way into shaping how Tanzania is today. You then took the time to explain what forms the basis of the cuisine in Tanzania – done in a well- articulated manner in describing everything in detail. Do you have a background in cooking/or as a chef, Sonia? I learned so much in reading your article so that if I ever did visit Tanzania I would remember what you so thoroughly did in educating me as to what to expect. The only thing I would stay away from would be the fried bananas. It’s a very long story as though my Mom, (who passed away in 2012) always told me as an infant I could not eat enough bananas – whether mashed up or in the baby food that I ate. However probably since as long as I can remember in my mind that is no longer the case. Now the sight, smell and/or taste of bananas makes me literally sick to my stomach. It can be in any type of food that has a banana flavor to it I avoid like the plague. My doctor informed me a few years ago that I needed more potassium in my diet, and that bananas are one of the best sources for this important mineral. Honestly I tried eating one banana a few years ago. I never got past the first mouthful and threw out the rest of that thing. I decided to get my needed potassium from other food sources instead. So the one Tanzania ingredient you mentioned in your great article – the Ndizi Kaanga (fried banana) I would stay far, far away from! Thank you so much for providing me with such incredibly facts, presented in a wonderful manner in this article, Sonia! I am sorry to hear about your deep dislike to put it nicely about the bananas! I have a brother who cannot stand the sight of bananas either! Besides the Ndizi Kaanga, there are others deserts you could try! Because the Tanzanian foods are so filling, I personally would not be able to eat desert!